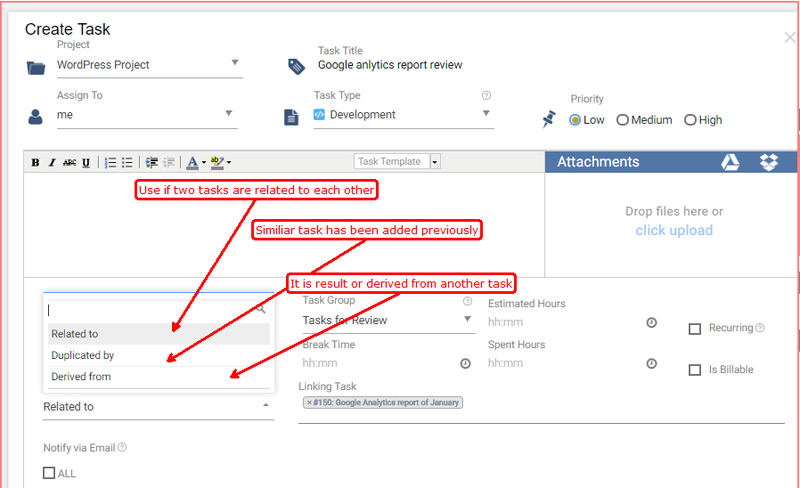 Home Task Management What is task linking? It means linking two tasks in order to provide an easier reference between related tasks. There are 3 kinds of links that can be defined. They are Related to, Duplicated by, Derived from. Related to: – If a task related to the current task exists, then you can select Related to in order to indicate that the 2 task are related. Derived from: – If the current task is the result of or derived from a previous task, then you can use Derived from to link the task.